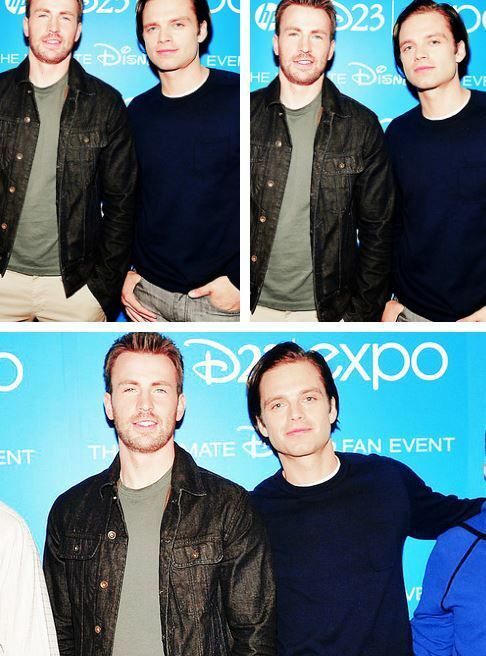 Chris Evans and Sebastian Stan photoset. . Wallpaper and background images in the Chris Evans & Sebastian Stan club tagged: chris evans sebastian stan evanstan photoset collage. This Chris Evans & Sebastian Stan photo contains 기호, 포스터, 텍스트, 칠판, 사인, and 서명. There might also be 작업복, 레저웨어, 여가 복, 거리, 도시 현장, 도시의 설정, 도시 장면, 도시 설정, 도시 거리, and 도시 장면 설정.